Dir: From the intersection of Highway 85 and Highway 90, go west on Highway 90 about four miles. Turn right (north) onto Highway 4 and drive about four miles to the traffic light. Continue north through the traffic light and drive about ten miles, then turn right onto Sonny Barrow Road. Drive about a half-mile then turn right (east) onto Grady Baggett Road. Property will be on the left. Are you looking for big open spaces, your own country getaway from the hustle and bustle of the city? 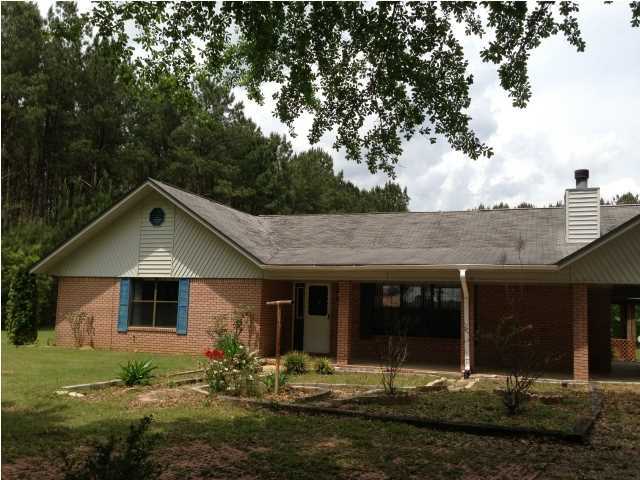 This large home sits on 2 level acres that is mostly cleared on a peaceful dead-end street. Watch the deer come out of the woods into your yard as sip your coffee on the covered front porch. Bring your family into the large living room which is open to the dining room and kitchen so you are never separated from conversation or keeping a watchful eye on the kids. There is a cozy wood-burning fireplace for those cold winter nights and the cathedral ceilings make this 2000 square foot home feel even larger. The oak cabinets are plentiful in the kitchen equipped with an L-shaped island and tiled backsplash. The bathrooms and kitchen also feature beautiful 18-inch tile flooring. 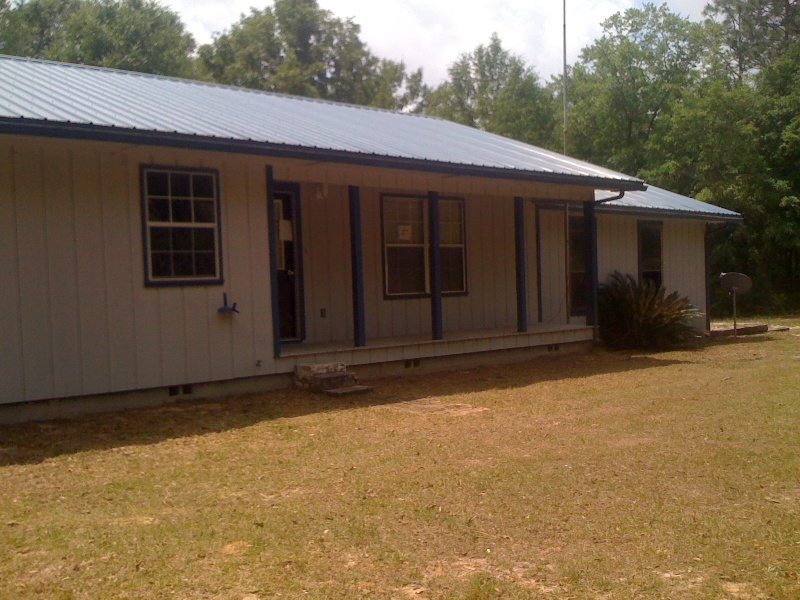 This home is designed for entertainment with its open floor plan, covered grilling deck, carport with breezeway to the backyard, and has plentiful storage space with the metal barn equipped with roll up doors.New roof has just been installed June 2013. Come check out your future home today. Dir: From Crestview at Hwy 85 and Hwy 90 take Hwy 90 West to Milligan. Take right on Hwy 4 and then right on Greenwood Road. House is on your right. o This is a Fannie Mae HomePath property. o Purchase this property for as little as 3% down! o This property is approved for HomePath Mortgage Financing. o This property is approved for HomePath Renovation Mortgage Financing. 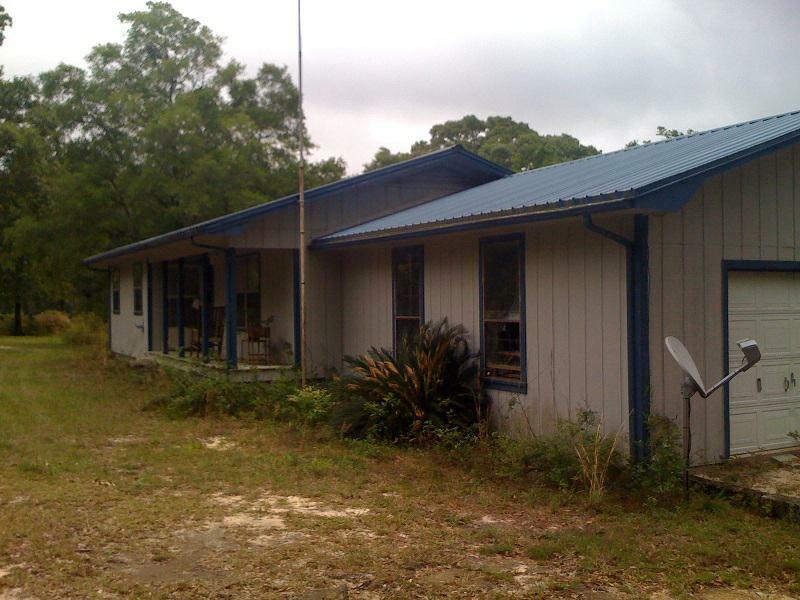 This 2 bedroom 1 bath home on two beautiful acres only minutes from Crestview and approximately 30 minutes to Eglin. This setting is located on a cul-de-sac and features a one car attached garage,decking on the back of the home with a wet bar and grill. Entering the home you will find a family room with dining area open to the kitchen. This property also includes a seperate work building and a three car detached garage with many custom cabinets in the out buildings.This property is a craftsmans dream. This is a REO Bank owned property sold “AS IS”. All offers to be written on AS-IS. Proof of funds or pre-approval letter must be submitted with contract. After a little TLC this home would be nice. It’s in a real good area. Property includes 2 full acres and extra workshop building. Unique property consisting of 3 parcel id`s 06-3N-24-2760-0012-0020,06-3N-24-2760-0012-0050,06-3N-24-2760-0012-0010 for a chance to own close to a city commercial block in baker. Great location right off of highway 4.The property is made up of 9 lots including corner lot on Madison street and Georgia ave. The property offers one office building and 2 rentals. The rentals are made up of one single family 1592 sq.ft. 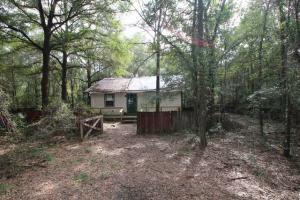 3 bed and 1 bath.The other rental is a mobile home 2 bed 1 bath. Owner also has commercial property for sale on Highway 4 right around the corner see MLS# 524787,524791. Great location next to the Baker block museum in downtown Baker. Don`t miss this chance to own a commercial property with great visibility on Hwy 189. This property is situated thirty miles from the beaches of the Gulf of Mexico, near Fort Walton Beach, Destin, Pensacola & Navarre on the I-10 corridor also near aerospace hub of Eglin Air Force Base with rapid growth due to BRAC realignment.Also see MLS # 524791 for a chance to own close to a city commercial block in baker.The building consists of two separate storefronts.All brick building with updates some of which include windows and new metal roof.Call today to take a look.